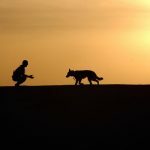 It is said that Dogs are man’s best friend and I would say that in many cases that goes both ways in that people can be a dog’s best friend. 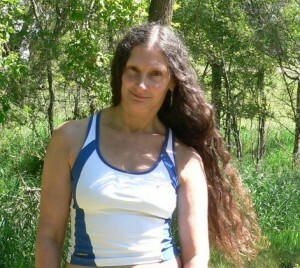 As summer comes around it can be fun to go to the lake or perhaps the ocean. 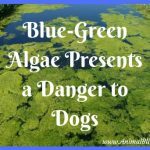 Maybe you just want to go swimming; well your dog might find that fun too, but be careful when taking your pets in or near any body of water. 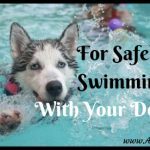 While dogs often love to get wet and go for a swim, you need to make sure that your pet is safe in the water. Unlike us, dogs have to spend a lot of energy to keep their heads above water and if they swim out too far they can become tired and may drown. That is why we suggest that you get your pet the best dog life jacket vest for their size and shape. Dog life jacket vests come in many sizes and colors and some even have special prints to make it easier to spot your dog or just to make it look good. The life vest is easy to put on your pets and can make your pet’s swimming experience fun without getting tired out too easily. Little dogs are more prone to drowning because their small paws make it difficult to swim. 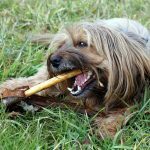 This makes them tired faster than with big dogs and when fatigue sets in on a little pup, their muscles will give out and they will begin to sink like a rock. With the adjustable straps you can be sure that your dog life jacket vest fits snugly, but without being too tight to obstruct their breathing. 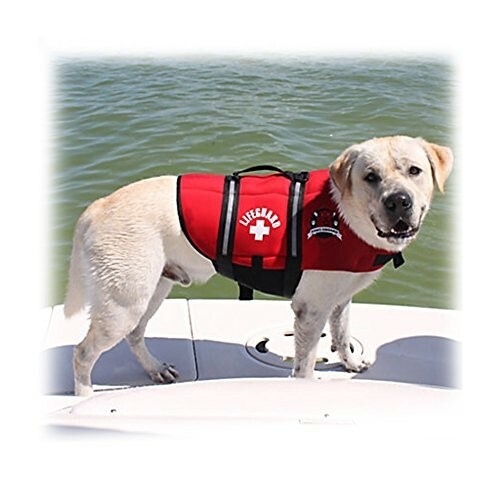 The handle on the back of the vests makes it easy to pull your dog out of the water if they have trouble getting back into a boat. The sizing for dog life preservers can range, depending on the size of your pet. 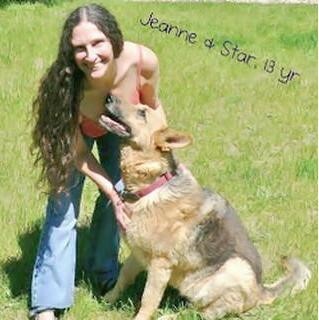 For large pets you will want to go with an XL for around 33-40 inches around the chest. 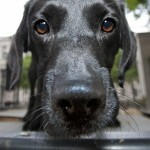 If you measure your dog around the chest you can go by the sizing chart without any fear of getting the wrong size. 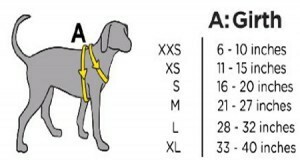 I have tested several different dog life jacket vests and found that the sizing chart has been spot on for every animal I have tried one on. Now many different people have asked me if they make life vests for cats and there have not been any pet life vests branded specifically for cats, probably because most cats hate the water. 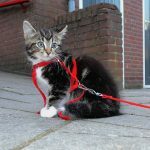 But if you want to take your cat out on the water and want to make sure he doesn’t drown, or you just want to have the handle to pull your cat out of the water if he did fall in, then you can go with an XS or XXS sized pet preserver as they are the perfect fit for any cat or small dog. I tried it out on my cat just to make sure and our full grown cat was able to fit into the XS 11-15 inch vest. It was a perfect fit. Disclosure: I have no affiliations with Best Dog Life Jacket (.com). I will not benefit from your purchase, if you should you make one. 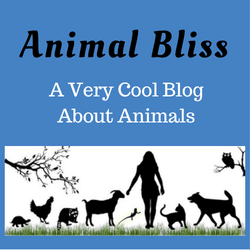 Does your dog (or cat) love to swim? Have you ever used a life jacket for your pet? I hadn’t considered getting a life vest for our dog. It’s definitely something to consider. We don’t take her near water much but just in case. We had a dog that used to jump out of the canoe. Luckily we were never far from the shoreline with him because we knew it was always a possibility. A life vest could have come in handy, had he been a smaller dog. He was a black lab, so would have been too heavy to pick up.) With a smaller dog and a life jacket, we could have chanced going out deeper. Thanks for stopping by, Camesha. Take care. Don’t have a dog, but if I ever do I’ll keep this in mind. I’ve never considered a dog would need a life vest for swimming, but your explanation makes perfect sense. They are so adorable, and throw themselves into the water without fear. Great idea. Some dogs really are fearless, aren’t they? I’ve seen a lot of smaller dogs, though, that are afraid of the water. I think one of the best places to use a life jacket on a dog is if you were on a boat. If a dog jumps in, it’s so difficult to get that wet dog back in the boat. (Believe me.) 🙂 Thanks for your visit today, Francene! Take care.